It’s toward the end of the work week. If you’re anything like me, the fresh start and energy of the beginning of the week is long gone. You’re haaangry. You need a quicker dinner idea. Nothing complicated or fussy. And more on the healthy side of things because, you know, New Year’s resolutions and stuff. I’m here to help save the day! Or dinner at the very least. And this dish right here brings all sorts of goodness. Especially since it’s cooked in one skillet. One! That means less dishes! And I need all the help I can get when it comes to less dishes. I somehow manage to dirty up my entire kitchen every single time I cook. And I also somehow manage to use way more measuring cups, bowls, dishes, cheese graters, etc. than humanly possible. I can be a bit of a disaster. This is also why Emma refuses to leave my side when I’m in the kitchen. The possibility of dropped food is high. It’s a hungry beagle’s dream. So. Let’s discuss how this dish goes down. You’ll chop up a few veggies and then saute them in a skillet along with some spices to pump up that flavor! You’ll add in the brown rice and some tomato paste (<— again, to help us get to flavor town!) and we’ll toast that rice right there in the skillet. We pour in some broth, some black beans for a bit of protein and some drained tomatoes. And then we cover and let it work some magic and simmer away for about 15 minutes. You can use this time to sit down, pour yourself some wine, or run upstairs to go change into pajamas because you are incapable of not getting food all over your clothes while cooking and never think to put on one of the 15 million aprons you own. Finally, after we are nice and cozy in our pajamas, we add in a little (or a lot!) of cheese and a sprinkle of fresh cilantro. And bam! Dinner is served. Casserole-type goodness without cream of mushroom (or whatever) anything! And it’s mexican food which = the best kind of food. And that my friends is how we do Thursday night dinner. 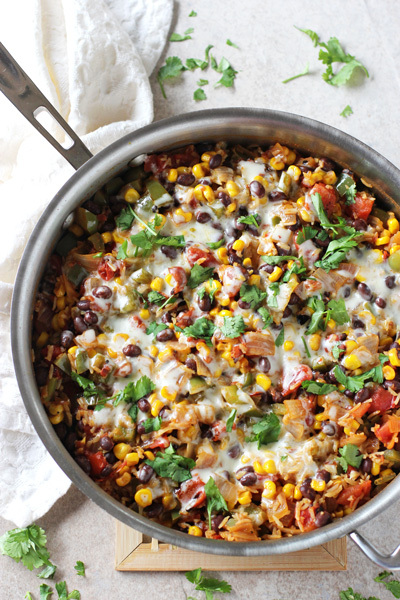 An easy, one pan recipe for skillet mexican brown rice casserole. 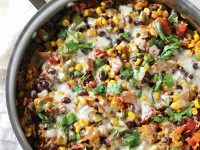 With plenty of veggies, black beans and spices! Set a large skillet over medium heat. Add in the olive oil. When hot, add in the onion and cook for about 2 to 3 minutes, until it starts to soften. Add in the pepper, jalapeno, corn, cumin, paprika, cinnamon, salt and cayenne. Cook for about 5 minutes, until the veggies are all tender. Add in the tomato paste and brown rice. Cook for 1 to 2 minutes, stirring almost constantly. Add in the drained tomatoes, black beans and veggie broth. Give the mixture a good stir then bring to a boil. Turn down the heat, cover and let simmer for about 10 to 15 minutes (or according to the time on the package directions for the rice), until almost all of the broth has been absorbed by the rice (and the rice is tender). Remove the cover and sprinkle the cheese over the top (use the lower or higher amount depending on how cheesy you want it!). Recover and cook for about 1 to 2 minutes, until the cheese is melted. *I use quick-cook brown rice in this recipe. Which I buy at Trader Joes (I’m sure you can buy it other places too!). If you don’t use quick cooking brown rice, you’ll have to cook the rice longer. White rice could also be substituted, but you’ll have to keep an eye on it as well, as the cooking time may vary. This is one of our family’s favorites. Our meat-eaters add the rice to a tortilla with strips of left over chicken or steak. While the rest of us enjoy it just as it is. The fire-roasted tomatoes are are great addition, so I also use frozen fire-roasted corn–yum!I love that it is a main dish but can even be a side dish when we have bigger gatherings. I’m so happy to hear this Sarah! Thanks so much for taking the time to let me know 🙂 And I love the idea of using fire-roasted corn! This made a delicious Lenten meatless dish! Living 20 minutes from town, I had to adapt to ingredients on hand. My modifications: 1/2 large red bell pepper in place of green, 1 can of corn (reserve liquid), regular paprika /added several drops of liquid smoke, ketchup in lieu of tomato paste, regular diced tomatoes (liquid reserved), chicken broth plus reserved liquids to make 2-1/2 cups. Sharp cheddar (1 cup was plenty). No cilantro. I can’t wait to make it according to the original recipe! Hey Monica! Oh I’m so happy to hear it! Thank you for taking the time to let me know 🙂 And thanks for sharing the changes you made too! This is going to be one of the dishes that we make on Cinco de Mayo this year- it looks wonderful. Thanks for sharing. I’m also doing a recipe roundup for Cinco de Mayo BuzzFeed- may I add this recipe in? Awesome!! It’s a favorite at our house 🙂 And of course – thanks for thinking of me! 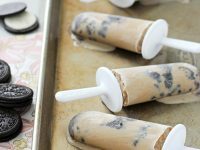 I needed this recipe last Thursday night! So not inspired to cook on Thursdays but now I have a plan for this week. Cello, my yellow lab, will thank you. She too “supervises” will I cook. Thanks! haha these silly dogs we have! Emma is always under my feet in the kitchen!! Hope you enjoy Brenna!! 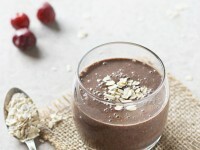 I have made this a dozen times this year & tweaked it based on what’s in the fridge or pantry! Made this for my Mum yesterday and she loved it. I didn’t drain the tomatoes and reduced the vegetable broth by 1/2 a cup. I didn’t want to waste that delicious tomato juice! I couldn’t find quick cook rice so I soaked my rice in a couple of cups of water overnight which meant I only had to add about 10 minutes to the cooking time. Will make this again and soon! Oh I’m so glad she loved it! Thanks so much for letting me know Gail! And that sounds delicious with using all that tomato juice!! My fridge was bare, so I subbed in some frozen chopped peppers and onions. Also reduced oil to 1T, didn’t drain tomatoes, and used mostly spanish paprika with just a pinch of smoked. Only had regular old long grain brown rice; it took about twice the broth and 40 minutes but turned out great. I forgot the cheese and we still loved it. So flexible and healthy. Would be great topped with chopped avocado. Will look for the TJs quick rice in future, and will try making it riceless and serving over plain rice for my picky eater. Thanks for a great new meatless main. Oh I’m so happy to hear you enjoyed it Jen!! Thanks so much for taking the time to let me know. And yes! Avocado would be a fantastic topping idea!! Instead of using rice use Quinoa with barley. You will be love this instead of rice. Keep the skillet meals coming!! Thanks. Looks like a great dish! I’m a real fan of 1-pot cooking. I’ll try it this week, but will substitute quick barley for the quick rice…..more fiber in the barley, I believe. Also, the addition of one-half of a canned chipotle pepper would not be out of order; yum! You’ll have to let me know how it turns out with the barley! We love barley but I’ve never tried it with this dish. My only suggestion would be to possibly adjust the amount of broth (and use whatever liquid amount the barley package instructions suggest … it may be different from the rice). And yes, the chipotle pepper would be an awesome addition! This is my kind of dinner!! Love everything about it! This looks like a great meal idea! And one skillet! Whew, my hubby – whose in charge of cleaning the mess I make in the kitchen – will love it. I’ll definitely be trying this! haha Emma sits down between me and the kitchen cabinet – it cracks me up! i make a skillet dish very similar to this one. so yummy!! I am the same no matter what I make the kitchen looks like a bombs gone off in it! Why is that? Also I never use my aprons and I have loads…. again why? 😀 This dish sure looks like a winner I love one pot / dish dinners. haha I’m with you! I love all my aprons … I just never think to put them on! Yay for delicious and healthy one pot meals! I have never seen that quick cooking brown rice, but I’m going to look for it next time at TJs. The one I use is the quick cook brown basmati rice – it’s so so good! 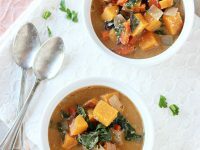 This recipe is fabulous because it is full of flavor and deliciousness without taking forever to prepare or clean-up ! This time,we skipped the rice (watching carbs) and used a bit less broth. A keeper! Thanks, Ashley. This casserole looks amazing and so tasty! Love the Mexican flavours! I love making and eating casseroles. Especially at this time of the year. Yours looks super delicious! I love everything about this skillet! It looks so flavorful and you know I can never get enough Mexican food! haha the problem is when Emma stands right under my feet and I trip over her!! Happy weekend friend! Mexican cooking is what I am all about right now – it is just perfect for the hot summer weather here in Aus. 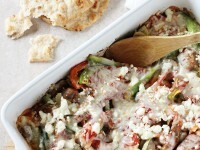 I have to make this skillet casserole, it looks so flavoursome, moorish and delicious! I’m not at home and I’m commenting from my phone (which I never do) because I saw this on IG and it looks too good! I hate dishes and I love Mexican food, so this is where it’s at! 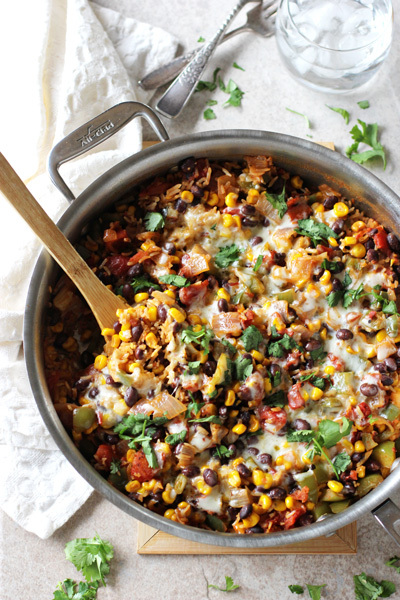 This will be made soon…I can’t have enough one pot meals! Have a great weekend! Cannot beat one dish meals- and this sure is a winner – so flavorful! And I am so glad it does not have “cream of mushroom (or whatever) anything” in it! These kinds of meals are my favorite! I now know what’s for dinner tonight! Happy Friday! “Mm-mm, flavor town, here I come” “Man have you been to flavor town recently?” “flavor town be killin it today” I just want to see how I can work flavor town into my vocabulary. Like every day. Love this one potter, Ashley! haha it’s a fun phrase to say! I have had such a love affair with Mexican food lately! I don’t know what it is, but I cannot get enough! Love this!!! I like the idea of being cozy in my pajamas and eating a big bowl of this Mexican rice casserole. Yum! Yes, this sounds exactly like my kind of Thursday night dinner! By the end of the week I want something easy and that uses ingredients that I already have on hand. This casserole is perfect! I need Thursday night dinner at your house for now on! This is amazing… and I agree. Mexican food is the best type of food! I’m way obsessed with it. And I’m so happy this is a one pot wonder. My sink is currently overflowing with pots and pans to be washed because, well, we are lazy during the week and don’t want to do dishes! Oh my, this looks really tasty! The combination of flavors sound amazing as well. Just roast some chicken thighs, this would be a perfect dinner. Yay, my Thursday night dinner could sure use this one skillet casserole! It always looks like a tornado came through the kitchen every time I’m finished cooking so hooray for less dishes! It looks amazing and I love all those spices you added in here! You and me both!! I am such a messy cook! 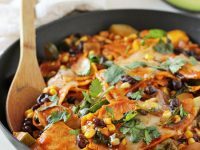 I love one pot dinners, especially when it involves Mexican food, because mexican food is definitely the best kind of dinner! This looks delicious Ashley! Pinned! Your amazing pictures actually made me drool a little! Mexican brown rice casserole is one of my new favorite dishes but I’ve never tried to make it at home from scratch so far, now I can’t wait! I love one skillet dishes that look pretty enough to bring right to the dinner table! And you’re right; a heartier dinner is totally welcome towards the latter end of the week though I’d want this any day. I will look for the quick cooking brown rice – thanks! Trader Joes has quick cook basmati brown rice – it’s by far my favorite rice! I could never make casseroles look this pretty! Bet it tastes just as great as it looks, Ashley. I am all over a dinner that’s ready in 40 minutes! And a warm and tasty one like this. Delicious! During the work week I run out of steam for dinner creativity by pretty much Tuesday. Eeeek. Looove the flavors here (I mean, obviously) and I usually have all of the ingredients for this already sitting pretty in the kitchen. Perfect! Yes! I usually have most of them on hand too! I’m always haaangry! In my book, skillet meals are the best. The last thing I want to do after a long day is the dishes. Love this recipe. Pinned. What a perfect Thursday night dinner, Ashley! I love the pops of color in this dish. And anything that’s Mexican inspired is definitely a winner in my house. Pinned! I think my favorite recipes that you post are these Mexican ones! 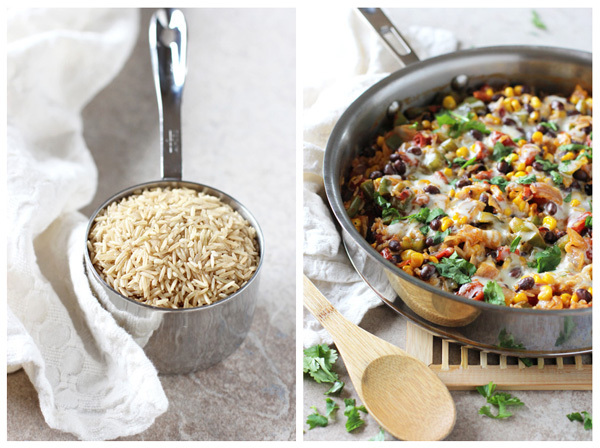 I love this skillet brown rice casserole. This is dinner. I’m into the whole brown rice scene since we starting eating at Chipotle 3x’s a week. I know…I know. It’s cheap. And good. But this looks even better. Perfect dish to make for when company comes over. Who wouldn’t love this? Yup. No one. I think my favorites are all the mexican ones too! 🙂 haha I can’t get enough! Thanks Laura! !